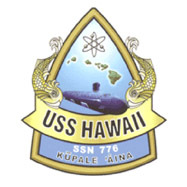 USS Hawaii (SSN 776) is the second ship to be named after the 50th state. The first, an Alaska-class large cruiser, had her keel laid in December 1943; however, she was never completed and was sold for scrapping in April 1959. 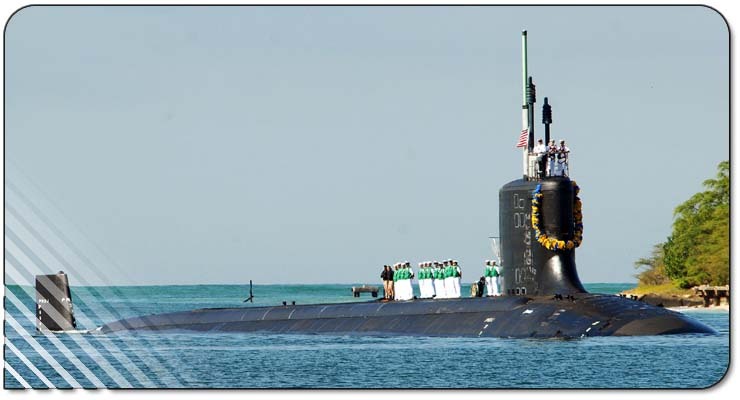 As the third submarine of the Virginia class, the new Hawaii is one of the most advanced weapons in America’s arsenal. With stealth, speed, agility and firepower, Virginia-class submarines are well prepared for all the roles a submarine can take.